To recap, many citizens have been warned through compliance letters, or received summons and ultimately heavy financial penalties for widening their driveways so they can park their car on their own property. The 1995 bylaw’s intention was to stop people from ripping up their entire front yards and turning them into parking lots. No one today wants this, and neither do I, but in a majority of these cases, the bylaw is being applied to hard working households who have beautifully landscaped their driveways and front yards to accommodate the parking realities of families in 2018. 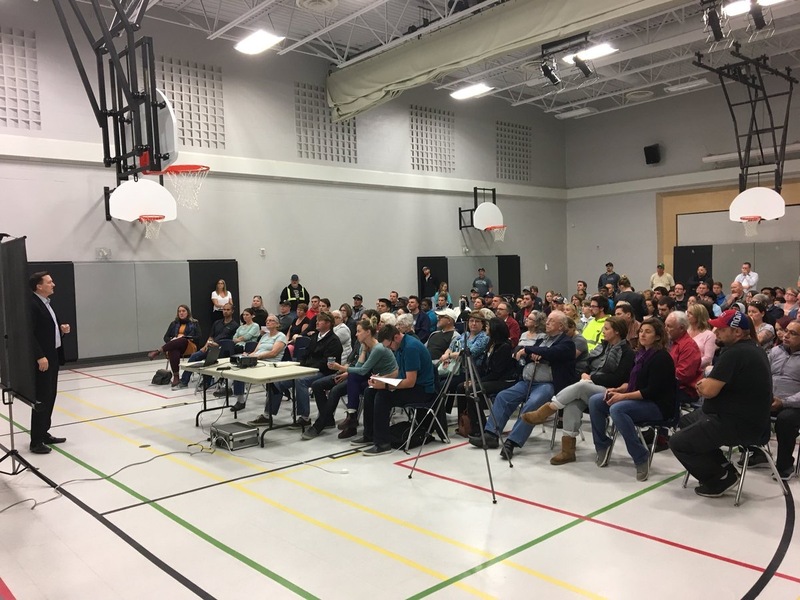 At our town hall, the Mayor and I committed to bringing forward a motion for city councillors to consider that would provide some interim relief (in most cases) from certain enforcement under this bylaw. In other words, residents need a break! I can’t go back in time and tear up the letters people have already received, nor have the Provincial courthouse reverse the fines that have been paid. 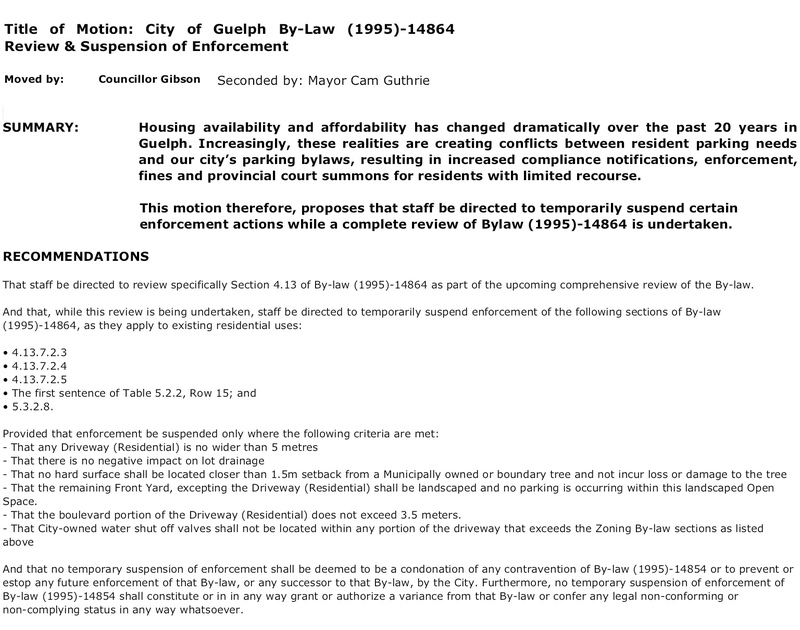 But we can and should review this bylaw to reflect the current realities of housing in Guelph, and while we do that, we should pause enforcement. As I described in my formal notice of motion below, housing availability and affordability has changed dramatically over the past 20 years in Guelph. Many residents now struggle to find affordable homes that can accommodate their needs. In many cases, residents find themselves caring for an aging parent, or a child that has found themselves in need of a vehicle while still living at home. Still others are choosing to rent out an accessory apartment in order to make ends meet. I believe these real life examples need to be considered and accommodated in our City Bylaws. That’s why, if our motion passes, residents will receive a long overdue break while we review this bylaw. If you are supportive of our direction and would like to stay informed on this issue, you can sign up for updates here.